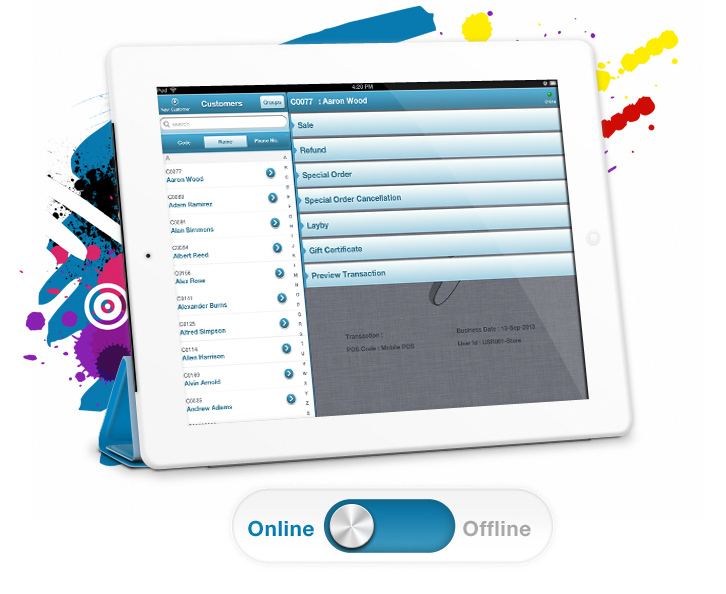 Stay connected to the store & process transactions from anywhere, anytime. Just as mobile devices have transformed how consumers shop today, the same solutions enable retailers to offer better customer service in store and have become a key tool that retailers can use today for faster business expansion. iVend Retail leverages mobile technology to provide feature rich solutions for end-consumers as well as retailers that work even if disconnected from the internet. iVend Mobile POS is used by busy retailers to quickly add additional check out terminals to serve customers during high traffic periods. Others use it as a mainstream alternative to traditional POS terminals to optimize investments made in expensive retail real estate space or to effortlessly open new locations. Others use is for occasional pop-ups shops or on the go sales. iVend Retail Mobile POS ensures a retailer’s POS will run efficiently, and reliably, regardless of Internet connectivity.